Just about everyone knows that when your neighbor's house catches on fire, you dial 9-1-1. But what if your neighbor is behind on rent? Or mentally ill? Or trying to care for a parent with Alzheimer's and doesn't know where to go? Who do you call then? 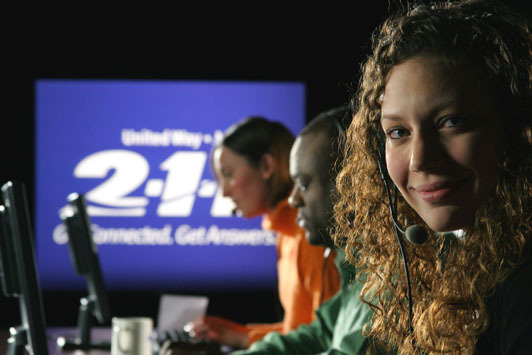 Dial United Way's 2-1-1 Resource Center. Speak with trained representatives that will help point you in the right direction for local connections and assistance. Simply dial 2-1-1 from your land line or cell phone for FREE and follow the prompts for a quick guide to local resources. Check out all the features on 2-1-1's website or even live chat! If I call 2-1-1, what can I expect? Your call will be answered by a trained information and referral specialist. That person will tap into 2-1-1's extensive database of area services, programs, and resources as he or she guides you toward appropriate answers. 2-1-1 is available 24 hours a day, 7 days a week. Information can be provided in over 150 different languages. Is 2-1-1 accessible via cell phone? Yes. 2-1-1 is accessible via cell and digital phones. If you experience any issues accessing 2-1-1 from your cell phone, you can dial 1-727-210-4212. What do I do if I've been waiting on hold for a long time? 2-1-1 provides a new option to have a representative call you back instead of waiting on the phone. Listen for this feature when you first dial 2-1-1. I don't feel comfortable calling 2-1-1. What are my other options to get help? How do I add my organization's information to the United Way of Hernando County's 2-1-1 Resource Center for my community to see? Click "Add Your Resource", download the Agency Profile form and scan to the United Way Office. I am already listed on 2-1-1 Hernando. How do I update my Agency Profile information? To update your current agency or program listing, CLICK HERE for an easy walk through of how to edit and keep your profile current for our community. I am having a difficult time adding/editing my organization's services to the 2-1-1 database. Who do I contact? You can contact the 2-1-1 Help Desk by calling 727-210-4239 or the United Way of Hernando County office at 352-688-2026. 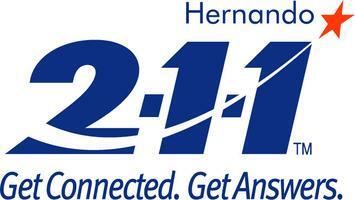 Inform the United Way Office that your organization would like to be contacted for any upcoming 2-1-1 Hernando Workshops. Keep an eye on UWHC's website calendar for more details on events and workshops that include information on how to use 2-1-1, uploading your services to the 2-1-1 database, the importance of keeping information updated, etc. Where can I get 2-1-1 materials to distribute? United Way of Hernando County would be your main contact for receiving outreach materials such as 2-1-1 Hernando flyers, rackcards, 2-1-1 business cards, 2-1-1 pens, etc. Click Subscribe to E-Hernando and E-Hernando Rules for more information on how to join this listserv.